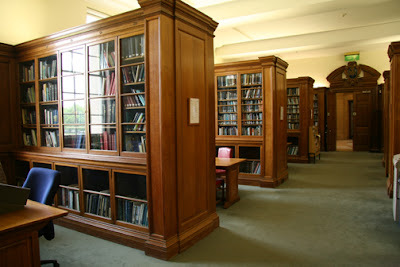 Where I've been spending my London days. Alas, it is not an art gallery nor a designer clothing boutique but one could fathom to say that it includes both, to varying degrees. 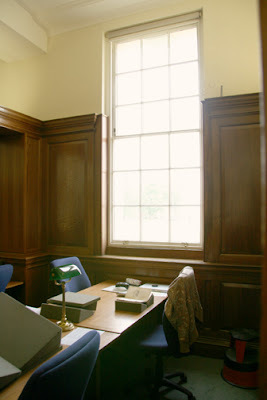 My desk by the window, looking out onto the vast entrance of the museum compound. Too bad you can't see all the tourists walking about on a Saturday afternoon. 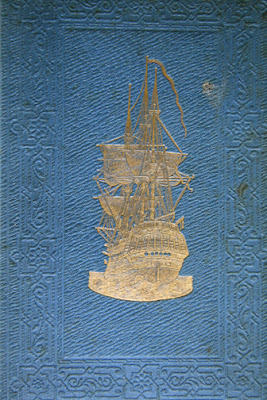 A beautiful cover example of a Franklin book published in the 1850's.